For the past year and a half, our group has held in person and online discussions to hammer out the principles that unite us. 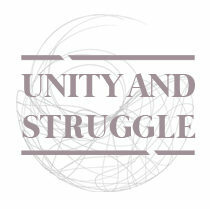 Now our Principles of Unity are finally online! Check them out, and please send us critiques and feedback. They’re a living document, and so will be updated as our experience and thinking evolve. Principles, for us, are something broader than a “political program” or “positions” on specific issues. Instead, they describe our shared outlook on the nature of the society we find ourselves in, the kind of contradictions inherent within it, and the role groups like Unity and Struggle play in bringing about a revolutionary transformation. Starting from this shared foundation, our members can develop strategies and tactics in our different contexts, and our group can synthesize more concrete positions and programs as we move forward. Look out for a downloadable PDF in the near future! And for now: read, comment, share, enjoy.